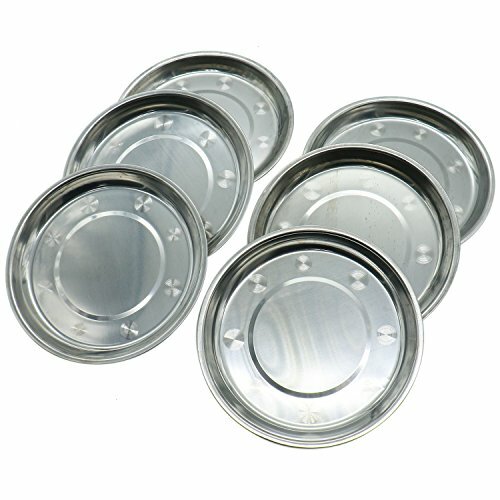 Set of 6 stainless steel dinner plate dish, each pc 7.9 inch / 20cm in Dia. Curved lip and there are no sharp edges. Easy to use and easy to clean; Lightweight and stackable for storage or carrying on easier. Great for both indoor and outdoor use, ideal for dinner, camping, barbecues, picnics etc.